FreeSO is not in any way affiliated with Electronic Arts or The Sims, it is an unofficial community run project. Bustin’ Out Online Weekend is back! Click here to visit the GitHub repo! The server is hosted here on freeso.org! If you want to know how to connect, or all of the juicy details of how this got going, check out the description on GitHub! If you have some friends interested in playing Bustin’ Out’s story mode or checking out this obscure online mode, go right ahead! The Sims Online and The Sims: Bustin Out Online Weekend are the only two online multiplayer modes ever implemented in full scale The Sims games. Their online code is surprisingly similar – the lot data is uploaded from the host to the client, both start simulating the lot at the same time, then the client simply runs the same commands (interactions, go here, cancel interactions) as the server at the exact same time, with the exact same random number seed. Since the simulation is deterministic, both the client and host should be synced up the entire time the game is running. There are a few key differences, though. The first is the architecture of the games – TSO’s host simulator is run on our MMO server, so that it can access our database and so that every action that occurs is “trusted”… eg. you can’t cheat your funds to 1 million by hacking your client’s simulator. Bustin Out, like most PS2 games, achieves online multiplayer by connecting directly to the other player (Peer to Peer Networking), the host being whoever invited the other sim to play. The second is the gameplay: The Sims Online is an MMO with persistent money, skills and lot data, where the player controls one sim and interacts with up to 24 (normally) on the same property. The goal is to build yourself and your property up in a sandbox world filled with many people. 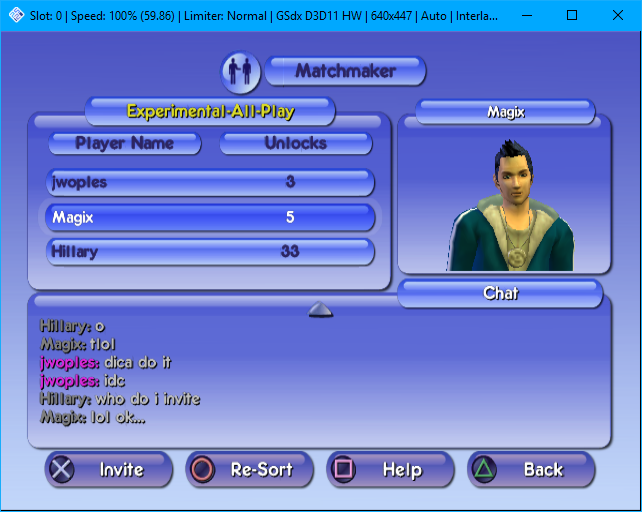 The Sims Bustin’ Out simply connects two players and starts the host’s Single Player save file, which lets them hang out in their current challenge mode house. The host can play any other sims in the family (such as Mimi at Mimi’s House) and invite anyone over from the neighbourhood. The invited player plays their own sim as a visitor at the property, and can interact with all the objects and sims on the property. Unfortunately, this interaction is only limited to two players, build/buy is disabled, and you cannot progress with the single player mode. However, it is cool to show off your challenge mode progression, mess around with the Bustin’ Out game objects, and hang around with your friend the Bustin’ Out characters. If you want to have the most fun, the best way is honestly to cheat and build your own house in challenge mode. The Wikipedia page for The Sims Online says that Bustin’ Out’s Online Weekend mode shut down on August 1st 2008 alongside The Sims Online, though I can’t find any sources to confirm this. 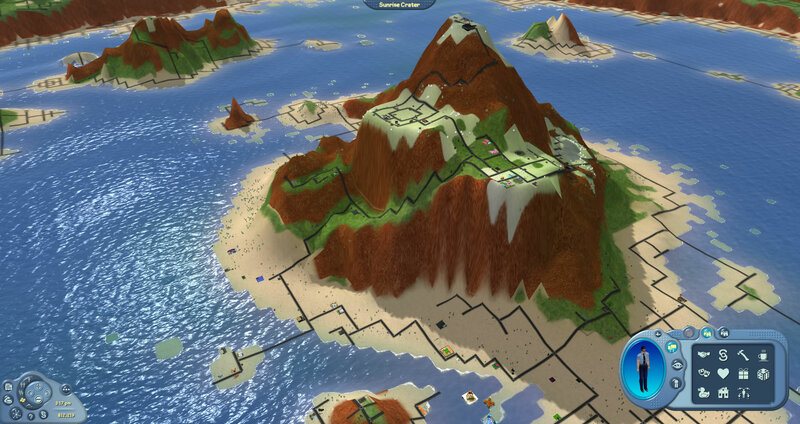 Either way, by that date no online variants of The Sims remained – the online modes of The Sims shelved forever. 10 years later, we have both back, hopefully forever! Mission accomplished, the SO is now Free. 2 Free Sims Online. Free Sims 2 Online? No. Relax, relax. The Bustin’ Out project is pretty much complete as is – it was only a weekend project anyways (some might say. an online weekend). I’m still heads down working on the next feature for FreeSO, which is going to be absolutely huge. I also posted a (very small) leak on discord. Of what is to come. Maybe I will post more in the future? Maybe I’m posting one… right now..
Is it possible to use this DNS with a PAL version game ? You forgot to report that this game is also available online on the real PlayStation 2, not just the emulator. First Elections: Calvin’s Coast and Clover Heights! Starting off the year with.. the Annual FreeSO Awards!